For patients who spend long periods of time lying down, the use of a pressure relieving wedge may be necessary to prevent pressure sore development on the heel and sacrum area. The Systam Semi Fowler Retraction Wedge facilitates this relief, allowing pressure to be transferred to the lower-risk areas of the calf and thigh muscles. Since it is made of high resiliency and high density viscoelastic foam, this wedge enables positions to be maintained over time, contributing to effective treatment. This retraction wedge provides excellent levels of stability to the user, reducing forward sliding that can sometimes occur in profiling beds. This stability helps to limit the effects of friction and shear forces, which can play a major role in the process of pressure sore formation. 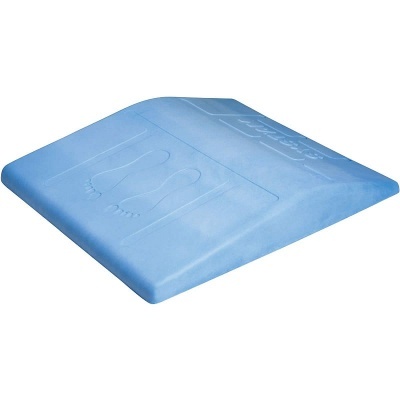 These attributes make this wedge suitable for use with a wide range of beds and medical situations. The cover of the Systam Semi Fowler Retraction Wedge is made of a fabric coated with bi-stretch polyurethane which reduces friction and shear effects while remaining comfortable and soft to the touch. It favours the exchange of gases (steam/sweat) and fights against maceration. Additionally, it is totally impermeable to liquids for better hygiene and a longer, more effective lifespan. 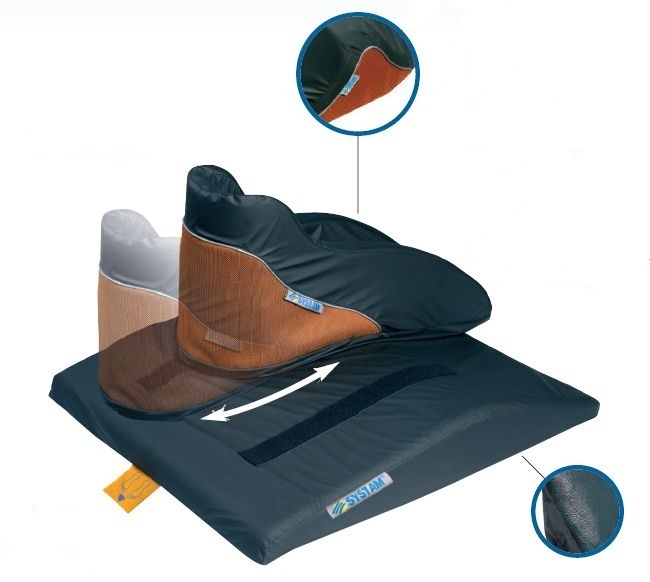 The use of the Systam Semi Fowler Retraction Wedge coupled with Systam Heel Supports enables the heel area to be completely or partially relieved of pressure, providing optimal protection or effective support in the treatment of existing pressure sores. The cover uses Velcro bands to fix the Systam Heel Support Boot or Systam Heel Pad onto the device. This feature enables individualised positioning adapted to the patient, while guaranteeing that the desired position is maintained over time.